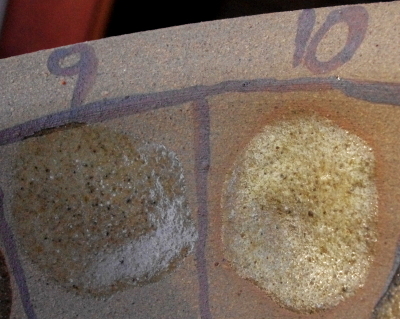 ell my initial test of glaze recipes containing a significant portion of our shingle ash is partially successful. 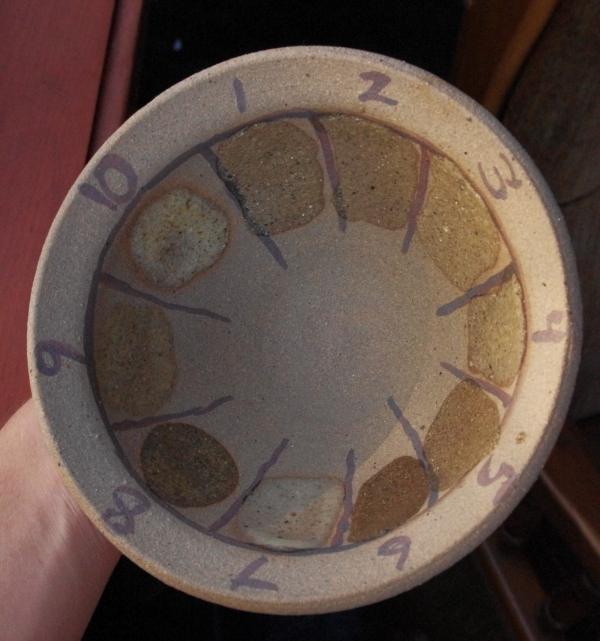 There are three recipes that look alright fired to cone 9 in a small electric test kiln, none of which contain any clay from the farm. 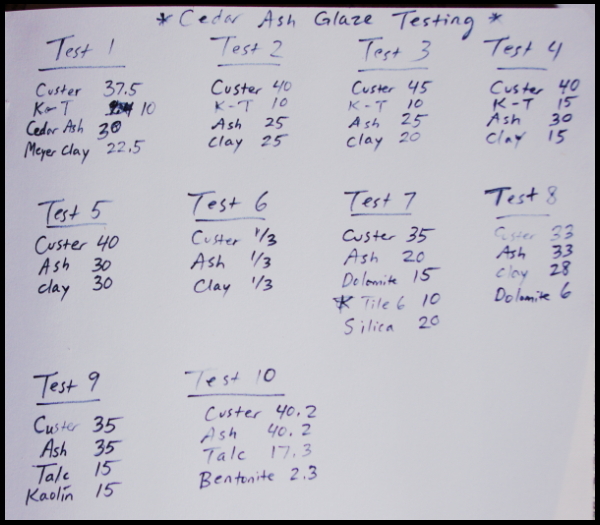 All the other tests do contain Meyer clay and don’t look so great. I might need to try some more tests with our clay screened through a 100 mesh sieve, or I might need try the “Black Hole” clay in a glaze rather than “Green Hole” clay. Next I will also try adding colorants and opacifiers to some base glazes. 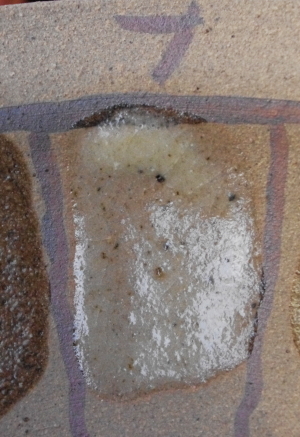 It is really hard to judge a glaze by a picture, nonetheless, here’s a few close ups of test 7, 9, and 10.